Michelle was back to us in hostel, but guess what? She is going back to her hometown, tomorrow. That means she gonna stay a night in airport with her friend. now we just can wait for the next semester. 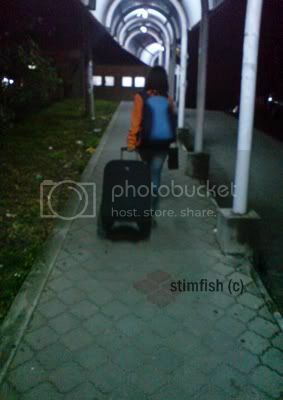 It's sad to see your back, pulling a heavy luggage. You are heading home, while I still need to stay over here until December. Going to miss you much.